This Summer Beach Set is the ultimate summer promotional kit! 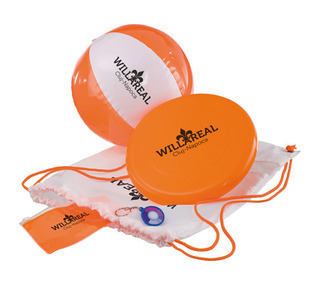 This set includes a rucksack (210D Nylon) filled with a Frisbee, a beach ball, a waterproof pouch to keep your valuables safe and a UV key chain that indicates the UV strength to protect your health. Perfect for promoting sun safety, educational industries and councils. Decoration: Screen Print 190 x 210mm (bag). Printing available on other items at request.